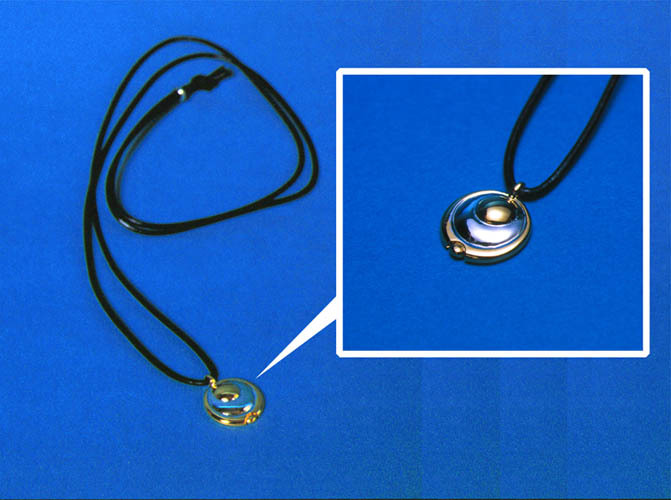 Two pendants have been released, both replica's of Lucia's pendant. The first was sold by ESP. Working Designs released a second pendant that was packaged with LUNAR: Eternal Blue Complete. The WD pendant was actually bigger and of better quality than the ESP one. 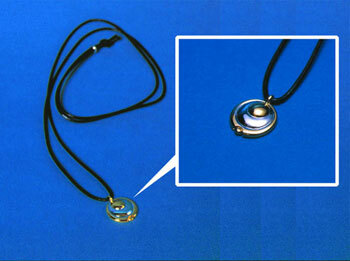 The first picture is from the ESP pendant. The second picture is the Working Designs pendant, which comes with a small black cloth bag to safeguard your beloved pendant. 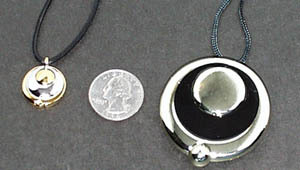 The last picture shows the size of the two pendants in relation to a quarter. You can see just how giant the WD pendant is.